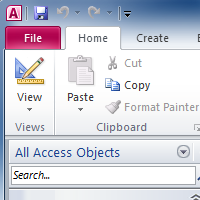 Access 2010 is a database creation and management program. To understand Access, you must first understand databases. In this lesson, you will learn about databases and how they are used. You will familiarize yourself with the differences between data management in Access and Microsoft Excel. Finally, you will get a look ahead at the rest of the Access course.